WTF All of it. All of it. I can’t decide if Vane is either the most spoiler-prone or spoiler-proof game I’ve ever played. It’s being advertised as an exploration-puzzler featuring a boy who can turn into a bird, but that description only covers the first chapter and a half, after which Vane turns into something else entirely. While further details are better left for players to discover themselves, I’m not sure that any summary of later sections would even make sense to those who haven’t personally experienced them. This is one of the most confidently inscrutable games I’ve ever played, and developer Friend & Foe clearly went through great pains to build a vast, beautiful world that they refuse to tell us anything about. 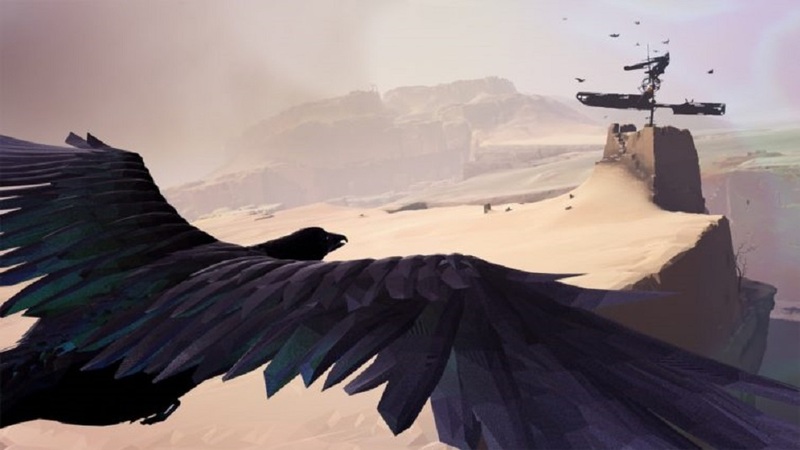 Vane not only depicts things that don’t make sense – it bases puzzles around things that don’t make sense. It stages dramatic reveals around things that don’t make sense. The supernatural elements contained within are depicted with visual bugs like flickering polygons, as if they’re so beyond comprehension that Unity can’t even properly render them. The devs clearly know that they’ve made a weird game. But yes, the short of it is that it’s about an unnamed boy who is also a bird. The bird can explore environments freely, and the boy can interact with objects – opening doors and such. But while the boy can easily morph into a bird by simply jumping off a ledge, returning to boy form is a bit more complicated, as it requires a mysterious gold substance found throughout the world. One of the few things I can say about Vane with any confidence is that it was inspired by the work of Fumito Ueda, the auteur behind Ico and Shadow of the Colossus. 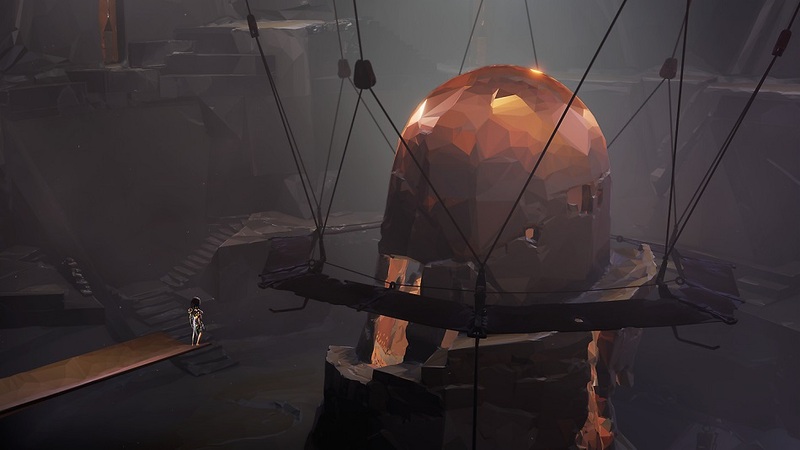 Like those games, Vane paints a world that was likely once buzzing with purpose but now sits in quiet ruin, its technologies having long faded into obscurity. It piques our interest from the word go but refuses to surrender the answers. In this way Ueda’s games were always truly deserving of the term “otherworldly,” and so is Vane. In Ueda’s work, however, those inherent mysteries always served as window dressing for what were ultimately simple, deeply relatable human stories. In the dialog-free Vane, the mystery is the whole meal. While I could describe what happens in this game, I know nothing about my character, his mission, or why he’s undertaking it. Vane’s only hook is the questions it raises, and the answers we receive certainly don’t feel like them. While the devs are miserly with narrative, it’s discombobulating how much Vane seems to celebrate excess otherwise. The first proper level is a desert landscape that sprawls for miles in every direction. It’s massive enough that I figured the entire game would be set there. But after solving one puzzle – itself a glorified collection quest – we move on to the next chapter and the desert is never seen again. Vane also abandons entire mechanics without hesitation. Being able to fly becomes irrelevant after maybe an hour into the game, when Friend & Foe plants the protagonist’s feet firmly into the ground and turns its focus on the transformative properties of that gold material. This leads to a ball-rolling segment in a constantly-morphing environment that is absolutely one of the weirdest things I’ve ever played. And then that mechanic is scrapped and it’s on to the next bizarre thing. This indecisiveness prevents Vane from being predictable, but this same quality is poison for a puzzle title — in order to function, the genre demands a set of comprehensible rules. So Vane’s world doesn’t abide by the laws of our reality – fine. But the game moves too fast, flitting from one concept to the next, and in doing so it fails to properly educate us. By the time I finally got a handle on something, it was time to move on and that information was no longer useful. 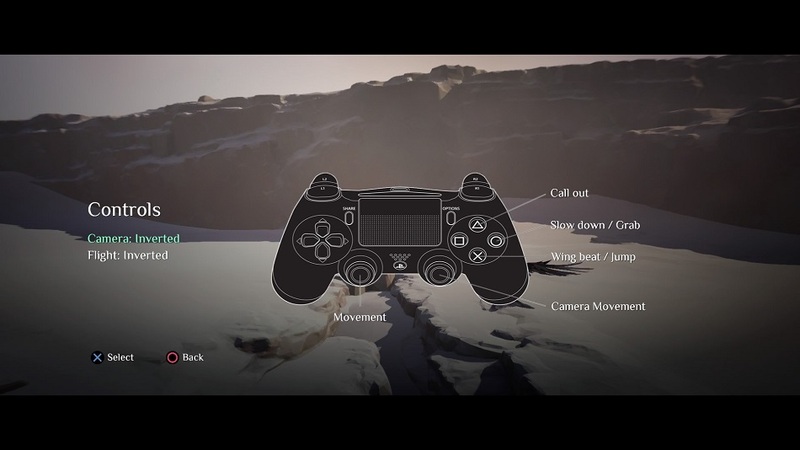 One of the questions surrounding Ueda’s work was whether it was worth pushing technology beyond its current limits for the sake of an artistic vision, and Vane‘s devs have clearly followed him down that route. The controls are terrible — one of the lessons that Friend & Foe probably shouldn’t have taken from Ueda — and the sprawling environments exist only to convey atmosphere, frequently coming at the cost of a stable framerate even as Vane is assisted by constant letterboxing. 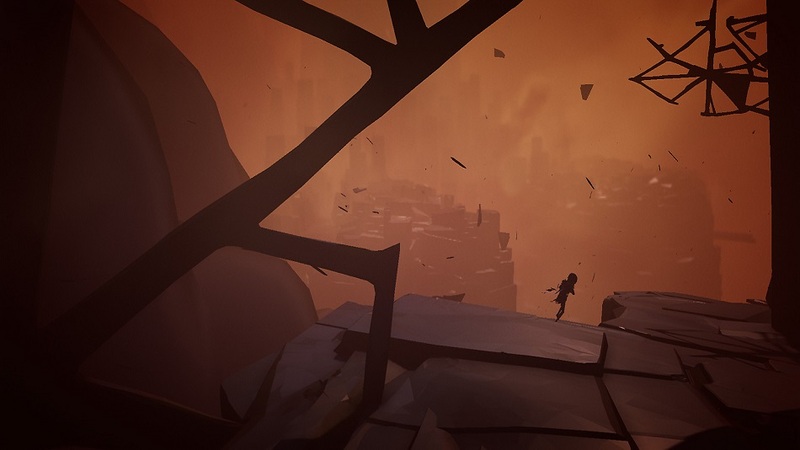 Later, a climactic level involved an environment constantly reshaping itself around the protagonist – an ambitious idea that Vane couldn’t keep up with, as the persistently re-mapping collision boxes eventually entrapped my character into a space from which he couldn’t escape. I had to reboot the level and discover that Vane’s checkpoints are quite harsh, and it’s worth noting that loading a save crashed my game roughly a third of the time. Disclosures: This game is developed and published by Friend & Foe. It is currently available on PlayStation 4. This copy of the game was obtained via publisher and reviewed on the PlayStation 4. Approximately four hours of play were devoted to the single-player mode, and the game was completed. There are no multiplayer modes. Parents: According to the ESRB, this game is rated Everyone 10+ and contains Fantasy Violence. It’s possible that very young children could find the dark, surreal setting unnerving, but there’s nothing graphic or objectionable about the content. Deaf & Hard of Hearing Gamers: There is no dialogue, written or spoken. Sound cues can occasionally be useful in locating objectives within some of the bigger levels, but the game is playable without them. Mike's first exposure to video games was when his parents bought him a Game Boy and a copy of Kirby's Dream Land. Completing it gave him the boost of confidence that launched a lifelong enthusiasm for the medium. Later in his life, he went back and discovered that Kirby's Dream Land is actually a laughably easy game that can be finished in about 20 minutes, but no matter. He was born and raised in Amish country and has yet to escape, despite a brief stint in Philadelphia, where he attended Temple University. He took a one-credit course there called "Career Opportunities for English Majors," which painted a bleak picture for prospective writers. Mike remains steadfast in his ongoing role as a video game critic, however, and has recently written for GamesRadar. Most of his work can be found on HonestGamers, where he has contributed over 200 reviews to date. When not playing games or writing about them, Mike is a rabid indie music fan and ardent concertgoer. He doesn't read as much as he probably should, but his current favorite author is Alastair Reynolds.